Any reason at all to talk about Land of the Lost. Maybe the publisher hired creators that were only familiar with the version from early 1990s? What, there’s a media property that hasn’t been mined for a comic series? I find this hard to believe. And, for no particular reason, I’d just like to mention I’ve really been enjoying the new Labyrinth series. Widespread appearance of President Theodore Roosevelt on comic covers after his elections. A bit of trivia for you is that each of the three TV networks (as there were then) debuted Saturday morning series with prehistoric themes in the fall of 1974. NBC had LAND OF THE LOST, CBS had the somewhat similar (but animated) VALLEY OF THE DINOSAURS, and ABC had the more realistic, live action KORG 70,000 B.C. 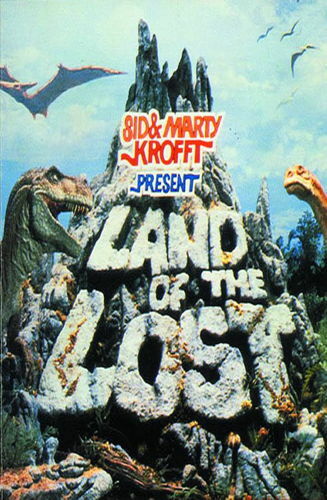 LAND OF THE LOST must have been the most popular of the lot, as it is the only one that ran for more than one year. Charlton published comic book adaptations of both KORG and VALLEY–they were both Hanna-Barbera productions, and Charlton had a deal with H-B at the time. As you note, no one did a LAND OF THE LOST comic, and I do not know why. It was a Kroft production, and other Kroft shows were adapted into comics: Charlton did a BUGALOOS series, and Gold Key published H.R. PUFNSTUF and LIDSVILLE. When I was a 4 years old American living in Tehran, Land of the Lost is my first memory of an English speaking TV show. I had no idea what was going on but I was fascinated.